Imagine, for a moment, you are a Chinese billionaire who wants to dine at Le Cinq in Paris next week. An American billionaire would simply book the table (or have his secretary do it), pack his nicest Hermès tie and take a chauffeured car to his private Boeing 747. His Chinese counterpart, however, has a few more steps to take. He (or his secretary) must go to the French embassy in Beijing, wait in line and then — most humiliating of all — ask for permission to travel to France. “The guy has been very successful in his business, and the idea of having to ask for something that you [as an American] take for granted is really annoying,” says Nuri Katz, the founder of Apex Capital Partners, a citizenship planning firm. For wealthy people from countries with restricted travel, like China, having a few extra passports in hand can be the secret to leading a much grander, jet-setting life. And as borders start to close for many people — a result of the election of President Donald Trump and Brexit — the wealthy are finding ways to keep as many opportunities open as possible, buying citizenships, passports and residencies for themselves in countries around the world. Those extra passports and green cards can be a lifeline, a useful business tool and even a prestige symbol. They can serve as an exit strategy in case of unrest in these people’s native lands as well as a handy tool for sailing with ease between countries on their yachts. 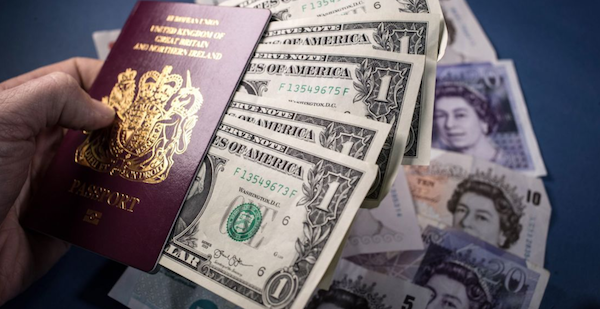 In fact, the time, effort and money it takes to buy even one passport has led to the strange phenomenon of passports being considered a status symbol among the global elite. While many may have an extra passport or two, Katz says he has met people with up to seven passports (he himself has six). He and other experts interviewed say they have seen businessmen plunk down their passports on the table in front of friends to show off how many they have. 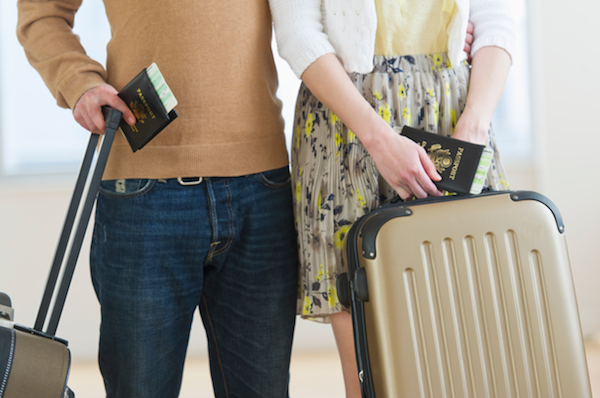 Many times, these passports assist the wealthy in engaging in rather trivial pursuits. In Macau, for instance, where many Chinese travel to gamble, the biggest casinos will occasionally pay for their biggest whales to get Macau citizenship, making it a breeze for them to pass over the border and come play. Serious yachters find multiple passports helpful as well, since they are constantly traveling between countries. “They travel so much, they run out of room in their passport,” Katz noted. They need to be careful about where their yachts are registered, though. One of Katz’s Russian clients, for instance, became a citizen of Cyprus, only to realize that becoming an EU citizen meant that he was required to pay a 19 percent value-added tax on his $50 million yacht. He is now pursuing Caribbean citizenship to register the yacht there instead. Multiple passports can also be necessary for businessmen and women who need to travel around the world for work and have to send their passports out to various embassies for countries that require visas. One of Katz’s clients is a former American who gave up his citizenship to become a resident of St. Kitts. He lives in Switzerland and the Caribbean and travels for business, often to countries that require visas. Katz said the client found himself missing important trips while his passport was out being processed, and he is now pursuing Antiguan citizenship. Not every wealthy person has multiple citizenships for fun or for business, however. In many cases, they are from unstable countries, like Venezuela, and see getting secondary citizenships as a means of protecting themselves and their families from geopolitical unrest. But for people who want U.S. citizenship, it’s a different story. Foreigners are not able to buy U.S. citizenship, but they are able to procure a green card through investment, thanks to a controversial visa program known as EB-5 (green card holders can apply to become citizens after a period of five years). Sometimes hailed as a “golden visa,” EB-5 allows wealthy people from abroad to invest $500,000 in a development project in the United States and receive a green card and permanent residency status in return. In May, Nicole Kushner Meyer, the younger sister of President Trump’s son-in-law and senior advisor, Jared Kushner, got into a bit of trouble over EB-5 when she gave a speech in China to a group of potential investors regarding a luxury project in Jersey City being developed by her family’s firm, Kushner Companies. Investing in the project, she reportedly told the group of about 100 Chinese men and women, would mean “a lot to me and my entire family.” She mentioned her brother throughout the presentation and at one point displayed a slide listing Trump as a “key decision maker” on EB-5. At a time when Trump has threatened to ban desperate refugees from entering the country, and his administration debates the merits of the poem on the Statue of Liberty, the fact that his son-in-law’s family is openly courting rich foreigners with the lure of a visa struck some as a little distasteful. “[The EB-5 program] says that visas — and eventual U.S. citizenship — are for sale, a terrible message for the 4.4 million people waiting in line for visas — some for as long as 23 years,” Democratic Sen. Dianne Feinstein of California said in a statement in response to the news. Kushner Companies was subpoenaed in early August over its use of EB-5. The EB-5 program has been around since 1990, though it only took off in 2008 after the recession left developers scrambling to find more capital for their projects. It provides 10,000 visas a year to investors, which is a relatively small part of the approximately 1 million green cards the U.S. hands out each year. About 84 percent of all EB-5 visas last year went to Chinese citizens. Experts say the program has been so successful there because it offers a way out for a huge population with wealth and restricted travel. Many of these investors are not as interested in obtaining green cards for themselves as they are for their children. “The Chinese who are wealthy say, ‘I need someone who understands these crazy Americans,’” Michael Gibson, an EB-5 investment advisor, noted. They will often send their child to be educated in the States, but under a regular education visa, that child would have to leave soon after school ends. If that child has a green card via EB-5, however, he or she can remain in the country and possibly set up a subsidiary of their parent’s company. A well-connected Chinese national, Mark (a pseudonym), who now lives in the United States, said that from his experience, it is the superwealthy (so-called “big bosses” worth over $100 million) who tend to obtain EB-5 visas for their children rather than themselves. This is due in part to the fact that once an applicant has a green card, his or her entire worldwide income is subject to U.S. taxes. “For daddy billionaire, he doesn’t want to submit any forms to the U.S.,” Gibson said. These “big bosses” also tend to be powerful citizens in China and may even hold government positions. Mark said that if those people have a U.S. green card, it can make them look bad and possibly lose some of their influence. “They’re too big to move,” he noted. Mid-tier rich Chinese people (i.e. those worth between $15 to $100 million, the “little bosses”), on the other hand, are more likely to obtain green cards for themselves, because they have little to no power in the Chinese government and are instead looking for a safe haven where they can park their money in case anything happens to it in China. Especially if that money was not gained, shall we say, lawfully. But is the United States such a safe place for them anymore? Are these people at all scared by the anti-immigrant rhetoric of Trump? Mark claimed that they don’t mind it. The homepage of the website for Christophe Harbour in St. Kitts and Nevis looks like a typical site for any number of resorts in the Caribbean. A large photo shows a turquoise pool that appears to touch the deep blue sea. It is captioned “Welcome to luxury living in St. Kitts” and invites you to “discover” the island. The Citizenship by Investment (CBI) program in St. Kitts and Nevis is one of the oldest such programs in the world and was started in 1984 to bring revenue to the island after the sugar industry collapsed. Today it is a major source of funds, and while the government no longer releases statistics about it, in 2014 it provided 40 percent of the island’s annual revenue. “It’s really done a lot for our people,” said Crag-Chaderton. Buying citizenship in St. Kitts and Nevis is not cheap. Interested parties can either make a $250,000 donation to the country’s Sugar Industry Diversification Program, a charity that raises money to help former sugar workers, or a $400,000 qualified real estate purchase on the island, such as in Christophe Harbour. 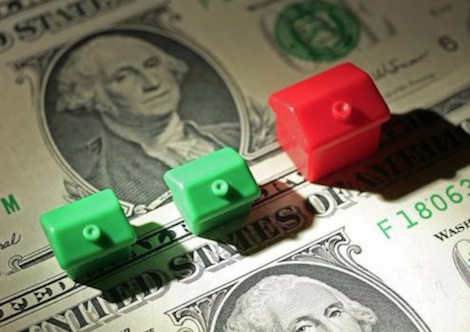 Crag-Chaderton says she’s found the real estate option tends to be more popular among those seeking CBI, since applicants can get a return on their investment when they sell their property. Though many of the properties at Christophe Harbour cost much more than $400,000 (residences in the community start at $2.5 million), the development offers a fractional ownership in its Windswept Residence Club that starts at $450,000. Conroy said it is designed for those who don’t want to spend a penny more than necessary to get their citizenship. That $450,000 buys you five weeks a year in a luxury property on the island — though you don’t have to use it. St. Kitts does not require individuals to spend any time on the island to qualify for citizenship. Buyers do have to hold onto the property for at least five years, after which they are free to resell it. While St. Kitts’ Citizenship by Investment program is the oldest of its kind in the Caribbean, it is far from the only one. 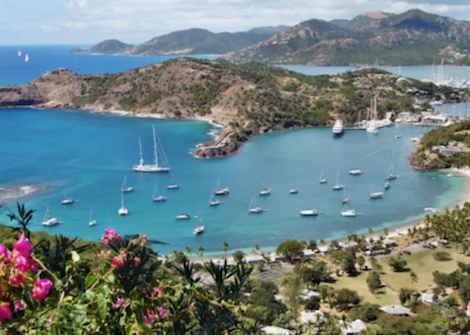 Antigua, Dominica, Grenada and St. Lucia all offer similar programs — with varying investment amounts and restrictions. Cyprus’ and Malta’s CBI programs are also highly ranked (though considerably more expensive; Cyprus’ citizenship costs €2 million, while Malta’s costs just under €1 million. Dominica’s and Saint Lucia’s programs are the cheapest in the world, requiring only a $100,000 investment). Green of Henley & Partners said he advises his clients to choose a program based on their needs and what works best for them, not necessarily on the price tag. Of course, the investment itself is not the only cost in this process. Governments often have processing fees that can cost tens of thousands of dollars, and firms like Henley & Partners — which basically invented the residence and citizenship planning business in 1997 — can charge anywhere between $3,000 and more than $80,000 for their services. These services include researching quality investments if the client is looking to buy real estate and even just getting the passport in the first place. In China, for instance, the government officially allows its citizens to have only one passport and one citizenship. But, as Katz put it, China is a “funky” place; the government licenses companies like his own to provide secondary passports to its citizens, thereby getting around the dual-citizenship restriction. In places like Dubai and Hong Kong, he said, there are similar agents — though not all of them are so legitimate. Investors who don’t do their homework can end up working with a citizenship adviser who fails to get them their passport and could even steal their money. EB-5 has also been plagued by scandal, with investors duped by shady developers or agents who misled or lied about projects. In order to get a conditional visa through EB-5, investors must be able to prove that their $500,000 investment is in an ongoing project and that it will create at least 10 jobs in the United States in the next two years. If investors choose the wrong project, then, or are lied to by a regional center, they may not only lose their money, but also their chance at a green card. “I don’t want to say this is a life-and-death decision, but if you’re from Syria, Iraq, Afghanistan or Iran, and if you are denied because you got duped, this would be devastating,” said Gibson. EB-5 is likely to change soon, though no one exactly knows how. In May, the law was up for debate in Congress, which voted to extend it in its current form through Sept. 30. Experts hope that any new iteration of EB-5 will include more oversight and transparency, reducing fraud and helping the program work as it was intended to. Their tool for doing all of this? A St. Kitts and Nevis passport, which they allegedly used to launder money on behalf of sanctioned Iranian entities in banks in the Republic of Georgia. Since that incident (and a few others), government officials in St. Kitts say they have been working hard to tighten their security measures in the CBI program. According to Les Khan, CEO of the St. Kitts and Nevis Citizenship Investment Unit, every applicant to the CBI program is subject to a thorough background check. The country works with international due diligence companies, private investigators and international law enforcement on each background check, which takes 20 to 30 days. If you’re in a rush and willing to pay, it only takes 10 days through St. Kitts’ fast-track option, which costs $25,000 (a normal background check costs $7,500). Khan said they are able to do a thorough investigation in that time, though they do require fast-track applicants explain why they want a passport so quickly. Khan said that even with St. Kitts’ thorough background check, less than 1 percent of all applicants are denied citizenship. He attributed that to the fact that citizenship brokers are only sending them qualified applicants, which Crag-Chaderton, the immigration attorney in St. Kitts, confirmed. Before she submits any application to the government, she is required to use World-Check, a background service from Thomson Reuters, to see if there is any alarming information about her client. Background checks are extremely thorough and can pull up past incidents. She heard about one 60-year-old client whose application was delayed because he had gotten into a bar fight in college, and later had his record expunged. Even after someone’s application is approved, someone flagged as high-risk will be subject to more rounds of security checks every year after receiving a passport, according to Crag-Chaderton. Because of this thoroughness, she is not sure how dangerous people like the Iranian nationals got through the system. “We were all very shocked. We couldn’t understand how those persons would have managed to obtain citizenship,” she said, speculating that their background checks came up clean and they committed the crimes afterward. EB-5 has allowed less-than-desirable applicants into the U.S. as well. In April, for instance, a California attorney and her father, Victoria and Tat Chan, were accused of defrauding EB-5 investors out of nearly $50 million. They allegedly took money from about 100 people and used it to buy themselves luxury real estate properties in California. They did, however, manage to obtain temporary green cards for at least some of their investors, including three who were fugitives on China’s most-wanted list. Green of Henley & Partners said mental alarm bells go off when an applicant comes in and asks for his or her passport quickly. “If they’re hesitant to tell me why they need it, then I’m really not interested in working with them,” he said. Henley & Partners does its own thorough background check on each applicant because the firm does do not want to risk any reputational damage to itself. “People think they can run away from their problems or their debts, or completely change their identity, but it’s just not the case. The proper procedures are in place to ensure that doesn’t happen,” Green said. He’s met people who have tried to get passports in different names only to find out that they first have to legally change their name in their own country. “Once they hear that, they go away,” he said. 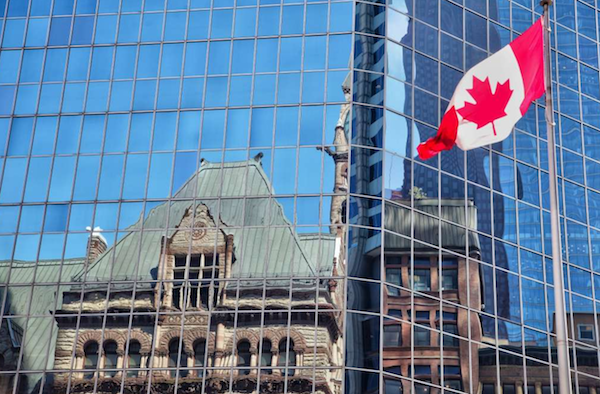 Before the 2016 election, many Americans vowed to move to Canada if it didn’t go their way. But did that really occur? That’s not to say Americans aren’t pursuing secondary citizenships, however; all of the agents interviewed said they have worked with American clients, even though an American passport is one of the most powerful, allowing visa-free entry into most countries. And yet, it seems, wealthy Americans pursue secondary citizenships and passports for the same reason wealthy Chinese and Russians do: because you can’t predict the future.